My birth into fly fishing began at age ten. My father, brother and I combed the shores of Bluewater Lake for catfish twenty years ago. Instead of finding catfish, we found a trout. 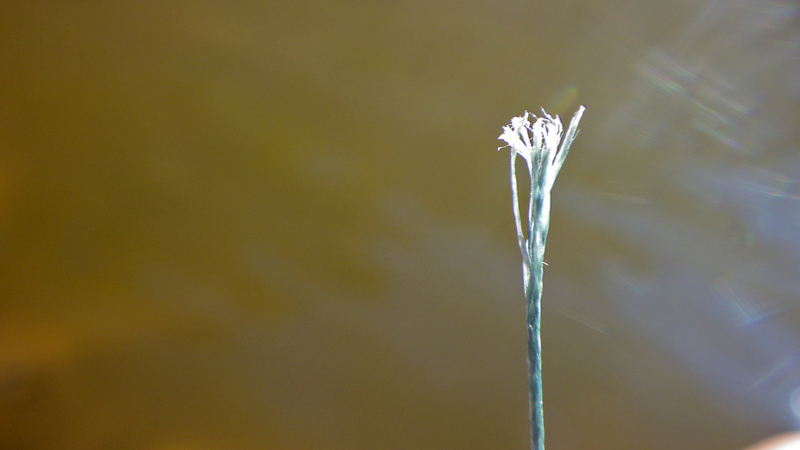 At the time, I had no idea exactly what it was, but I did know that it was cool looking. My head was then wrapped around this fish. My nose buried in untouched books and magazines. My mother probably thought it was a child’s addiction, a passing phase. We were all unaware that this was a precursor to a life made from that addiction. 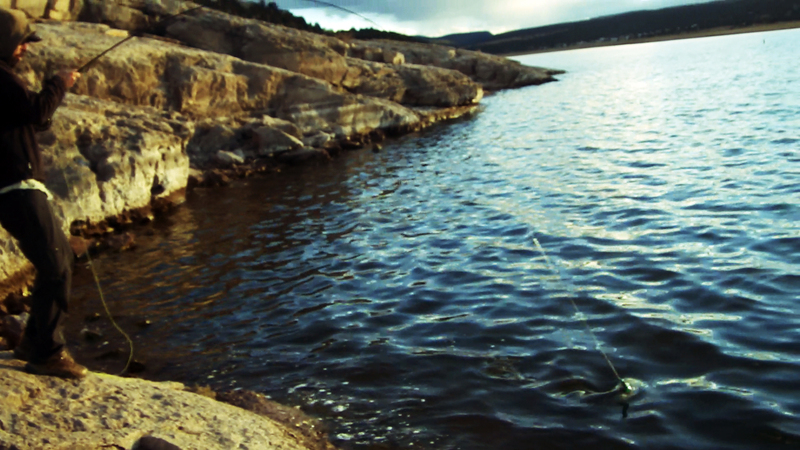 A life so infused with fly fishing, time away from the water seemed like an eternity. Fly fishing ruined my life and saved it at the same time. Relationships were lost, friendships destroyed, all for one goal. To fish. Naturally, after twenty years, I returned to this lake. The lake of my fly fishing birth. Things had changed wildly. Upon my departure in 2002, the lake was so low and temps so high that the goldfish and white sucker population exploded. Gold bands largely covered the lake. 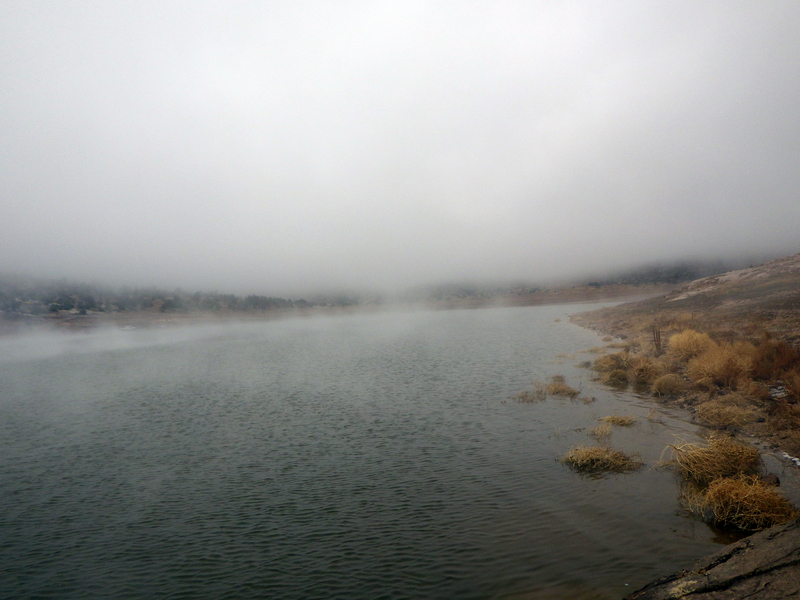 Around the same time, Ramah Lake turned over and died taking its huge largemouth bass population with it. For the time, fishing was dead. I took my leave to Florida to study the worthless career path of “Audio Engineering”. Just before I left, there was talk about introducing bass to the lake. Then, talk of tiger muskie. The operation had momentum in 2003 when I returned. 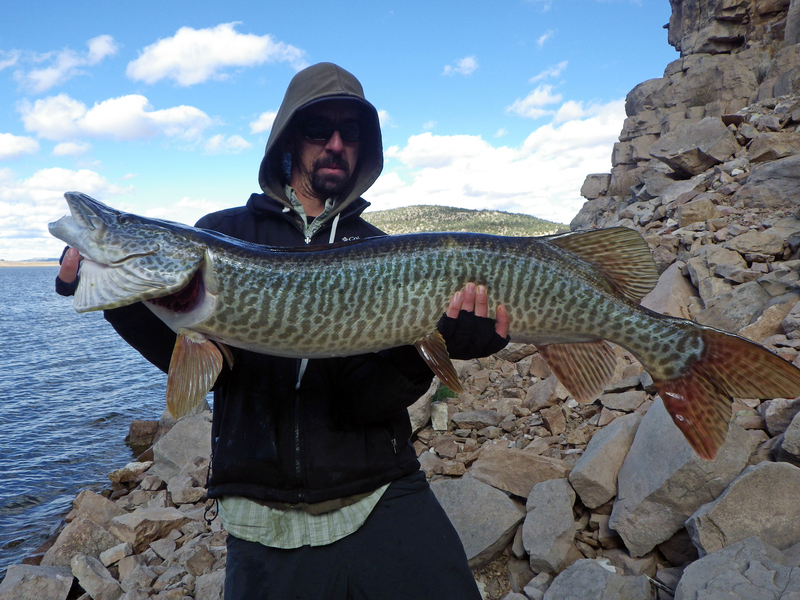 It takes a few years to grow a muskie and as I hiked down to the shoreline, thoughts of age began to surface. The oldest fish in this lake is ten, and we broke the state record five times last year. If you dig around in the world of studies and boring graphs, you will find that on average, these fish should only be around fourty inches. Not here, records are already topping fifty inches. This place has become world-class and it will remain that way for the next ten years. I sat down on the broken shoreline and stared out across the lake. I was looking for signs of muskie. Ducks dove down into the water catching my attention, tricking me into the thought of swirling fish. There were no signs of fish, just calm and very cold water. I began casting clousers and other small flies to no avail. After the first couple hours, the story was about missed hook-ups and failing gear. I even had one snap a hook in two. Something wasn’t right. I tied on an articulating streamer pattern, only about five or so inches and the only one I had tied. On the second cast, I hooked up and lost the fly. It wasn’t long ago that I was out here and it happened in the same way. I swore I would come after the entire race to retrieve my fly. That day, I tied a ten inch double articulating fly that looked strikingly similar to a parrot. This could have been fueled by my subconscious hatred of parrots, but it was created to be big and bold. I tied with revenge on my mind. The excitement never really ends. If you aren’t a smoker, by the time you finish muskie fishing, you will be. Just one to calm the nerves, just one more to calm the nerves… I couldn’t tell if my hands were shaking from the cold or from me being on edge. I walked around the corner into the sun for warmth. A cast and an immediate take and set. I didn’t know I was on with the biggest muskie of my life. As it lifted it’s head, I realized this fish could potentially put me in the hospital. I couldn’t tell the difference between excitement and fear. My whole life lead up to this moment. My life of fly fishing started here. Events of my life had been changing, as did with this lake. We evolved together. Even though we had our times apart, maybe the beginnings will be our future endings.